I like to think of myself as someone with some semblance of self-control when it comes to food. I usually know when I’ve eaten enough of something and I tend not to overindulge. That all goes out the window when it comes to kettle corn. Once I start eating kettle corn I cannot stop. The sweet, salty, crunchy stuff is positively addictive – whenever we buy one of those huge bags of it at the farmer’s market it rarely lasts till the end of the day. When I read the OMG Kettle Corn post on Chaos in the Kitchen last week and learned that not only was it relatively easy to make at home but there is also a recipe for stovetop popcorn on packages of kernels…well, you can figure out what happened next. Yes, I became the popcorn QUEEN over the weekend! In addition to making kettle corn that rivaled my favorite from the farmer’s market, I also indulged in a batch of caramel corn and a savory combination of sea salt, thyme and olive oil. It turns out there are a few schools of thought it comes to popping technique. One suggests adding just a few kernels to the oil and waiting for them to pop, signaling the oil is hot enough to add the rest of the kernels. Another says just put it all in at once. Since the latter was recommended by the Jolly Time folks and, quite frankly, it was simpler I went the dump-it-all-in route. It worked just fine. As long as I kept the contents of the pot moving and removed it from the heat when it was all done I didn’t have any burnt kernels. Now, for the kettle corn I did go back to the start-with-a-few-kernels approach as I found that sugar really seems to want to burn! But, like I said, the key to success was to continually shake the pot during the popping. Pour cooking oil and popcorn into any heavy, 3 quart or larger pan with a lid. Cover the pan and shake gently (using potholders) over medium-high heat, leaving the lid slightly ajar to allow steam to escape from popping kernels. Remove the pan from the heat when the popping stops and carefully pour the popped kernels into a large bowl. Season to taste. 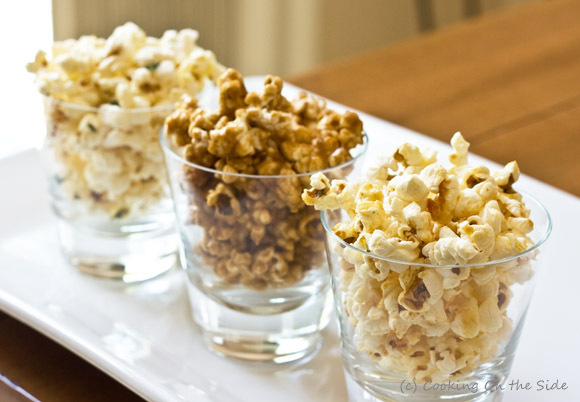 In a large bowl, drizzle extra virgin olive oil over the popped popcorn and toss to coat. Sprinkle with sea salt and thyme and toss again. Preheat the oven to 250° F. Place popcorn in a very large bowl. In a medium saucepan over medium heat, melt butter. Stir in brown sugar, corn syrup and salt. Bring to a boil, stirring constantly. Boil without stirring 4 minutes. Remove from heat and stir in baking soda and vanilla. Pour in a thin stream over popcorn, stirring to coat. 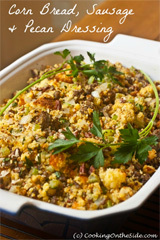 Place in a large shallow baking dish and bake in preheated oven, stirring every 15 minutes, for 45 minutes. 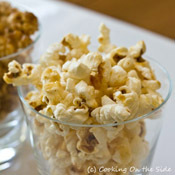 Remove from the oven, spread caramel corn onto waxed paper and let cool completely before breaking into pieces. In a large pot with a lid, add oil and three kernels of popcorn. Turn on the heat and cover the pot. Listen carefully – when the third kernel pops your oil is ready. Add the rest of the popcorn and the sugar. Give it a quick stir to combine and fully coat. Cover the pan and shake gently (using potholders) over medium-high heat, leaving the lid slightly ajar to allow steam to escape from popping kernels. Remove the pan from the heat when the popping stops and carefully pour the popped kernels into a large bowl. Season with salt to taste (about 1-2 teaspoons). Paper Perfect » Take Me Out to the Ballgame! OOOOOH, not that thyme popcorn!!! Yes! Love that! I eat a LOT, I mean a lot of popcorn. Whole Foods has some of the best selection, but it comes expensive. I did a double-take when I arrived here, thinking…wait…this is not PaniniKathy! Haha. I tried making kettle corn, and after 3 burned batches, I gave up. I see now it was because I started with the sugar in the mix – you’ve added it later, and that must do the trick. Maybe I’ll give it a try again! Yeah, the sugar definitely makes it a little tricky. I burned several batches too before I realized that it really can’t sit in the same place for too long without burning. Once I gave the pot a continual shake I got much better results. The old-time stove-top poppers work really well as they allow stirring of the kernels while popping.They aren’t terribly expensive, ours has lasted a very long time. Nary a burnt kernel will you have.. These are waaaaaay better than the trio in that big can that you normally get at Christmas. lol. I am not a huge kettle corn fan, but I am DYING over that sea salt and thyme version. Wow, each and every one of these choices looks incredible! I can’t wait to give them a try. In Germany, all they serve at the movie theatres is kettle corn! 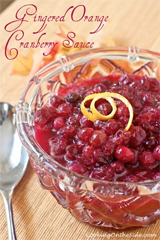 Now I’m addicted, so I’ll have to make this for the family when we get home! Thanks for sharing the receipes. They look really yummy! This is way, way fantastic and great for a home movie gathering. The Sea Salt, Thyme & Olive Oil Popcorn is calling my name. Yum! That kettle corn is crazy good! Thanks to your excellent directions, I managed to NOT burn it! 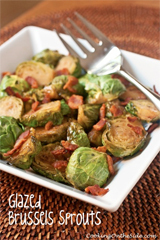 MaryBe’s last blog post..Cottage Season!! I love Kettle corn! Not a huge popcorn fan but that little bit of sweetness is always just right! Now I have a serious craving for popcorn! I just made the kettle corn! It is SO GOOD. .-= Lauren´s last blog ..molls:“If my mom can’t take them, give them to Diana… =-. 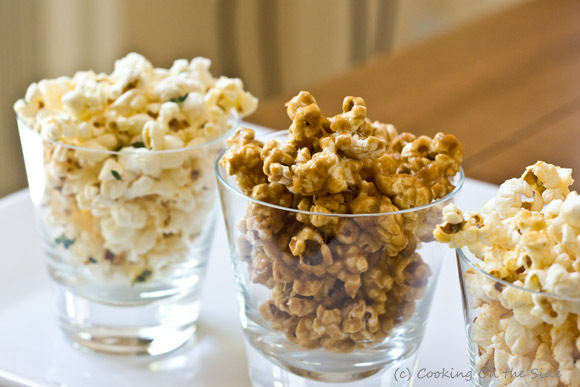 I’ve never tried making Kettle Corn at home – good time of year for discovering this recipe! Thanks, Kathy! .-= Susan´s last blog ..Fleur de Sel Caramel Apples =-. Loved the pics and the trio. Started with the Kettle Corn tonight. Doubled the batch and shook, shook, shook. Great results. Next time I’ll turn the heat up a tad and vent the steam a bit more. Thanks for sharing how to make this yummy treat… my kids are so happy because it’s expensive at the street so we don’t buy it often. Thanks a lot, Mary – I’m so glad you and your kids enjoyed it! 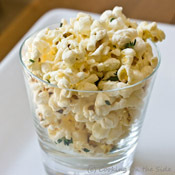 The Sea Salt, Thyme & Olive Oil Popcorn was the treat for tonight. Was a great hit with both the kids and adults. So yummy and so healthy. 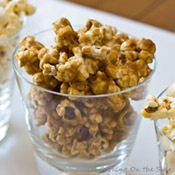 It will be awhile before we have a weekend in with movies and popcorn but when we do, we’ll give the caramel corn a go. Next visit will be fore the veggies. Aren’t blogs wonderful. You never know what you’ll find. Thanks for sharing. That’s terrific! Very nice to hear 🙂 Thanks, Mary!